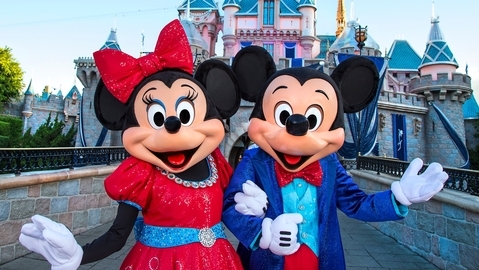 Cheaper flights will tempt more Kiwis to visit Disneyland. The long-awaited airfare war between New Zealand and the United States has taken off and is being welcomed by the Kiwi travel and tourism industry. More Kiwis will be heading to Disneyland after American Airlines confirmed yesterday that it will start flying between Los Angeles and Auckland from June next year. Air New Zealand reacted by cutting its airfares to Los Angeles from about $785 to $499. Doug Parker, chief executive of American Airlines, the world's biggest airline, said fares had not yet been set but they would be competitive. The new service, which involves daily flights on a Boeing 787 Dreamliner for much of the year, will need regulatory approvals. Air NZ operates 18 return services a week from Auckland to Los Angeles, a daily service from Auckland to San Francisco, four services a week to Vancouver, Canada and four services a week to Honolulu, Hawaii. From December 15, Air New Zealand will also start direct services from Auckland to Houston, Texas five times a week. American Airlines had been scouting the New Zealand market this year after deepening an alliance with Qantas. Pukekohe man Ben Smith, who is doing his PhD in social psychology at the University of Southern California, said it was "great news". "If the prices really drop ... that would make it much easier for me." Transport Minister Simon Bridges announced yesterday that he had authorised the alliance in New Zealand. "This new service will give more choice and lower fares for travellers on the Auckland to Los Angeles route," he said. Flight Centre said the new route meant a greater choice for customers. House of Travel called it a "game-changer". Its commercial director Brent Thomas said the new flight route meant Air NZ no longer had the monopoly on the American market, and that this was bound to lead to more competitive airfares across the Pacific. About 140,000 Kiwis travelled to the US for holidays each year but he expected that to rise by about 15 per cent as capacity increases and airfare prices go down. Air NZ has been the only airline offering direct flights to Los Angeles after Qantas pulled out of its loss-making service three years ago. Chief executive Christopher Luxon said increased competition on the route was not unexpected. "We're ready for it and we look forward to it." Auckland Airport also welcomed the announcement and estimated that it would boost seat capacity between the two countries by 16 per cent and contribute $199 million a year to the New Zealand economy. Chief executive of the Tourism Industry Association, Chris Roberts, said the American Airlines route will grow the valuable US visitor market to New Zealand and encourage American travellers to see more of New Zealand by offering connections with JetStar's growing regional network. • To start flying daily for much of the year from LA to Auckland from June. • Has not yet set fares. • 18 return services a week from Auckland to LA, daily flights to San Francisco, four services a week to Vancouver and four to Honolulu, and from next month will start direct services to Houston five times a week. • Has slashed airfares to Los Angeles from about $785 to $499.